Everyone wants a knock out kitchen renovation, with the biggest impact and for a low sensible cost. 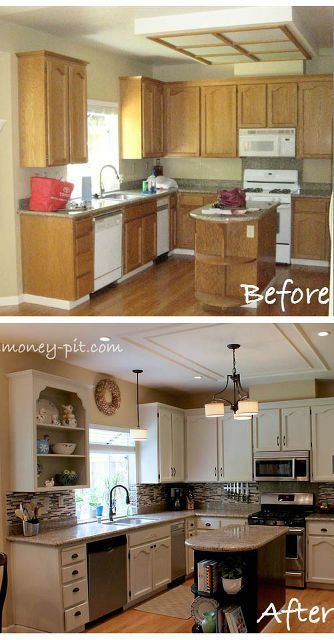 A clever way to do this is by simply changing your kitchen cabinets. 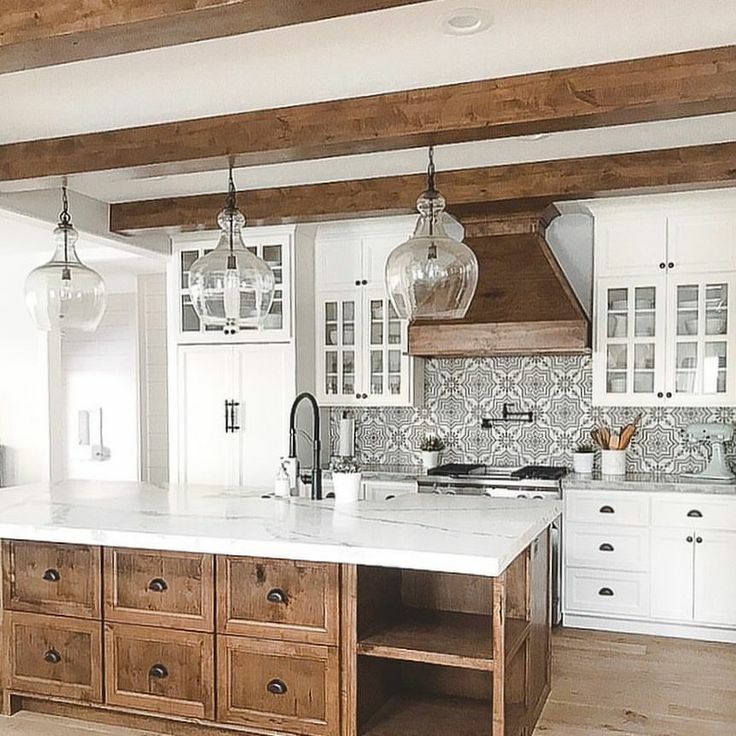 Updated kitchen cabinets can give you an incredible transformation without knocking walls, changing your kitchen layout, moving or updating appliances. They can be new, painted, stained or refaced but they are the best way to get a new look, fast. 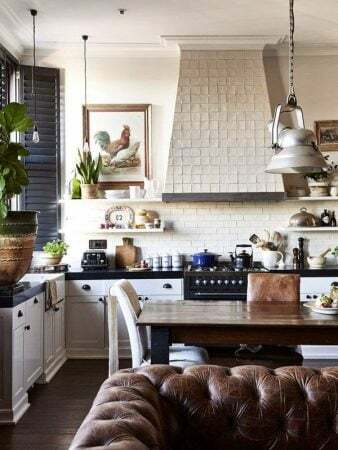 This makes the most sense if your kitchen is still in relatively in good condition and your kitchen layout works well for you and your family. You can do this in different ways this from painting kitchen cabinets, cabinet refacing or using stock cabinets. There are a lot of well pricing stock cabinets to choose from. 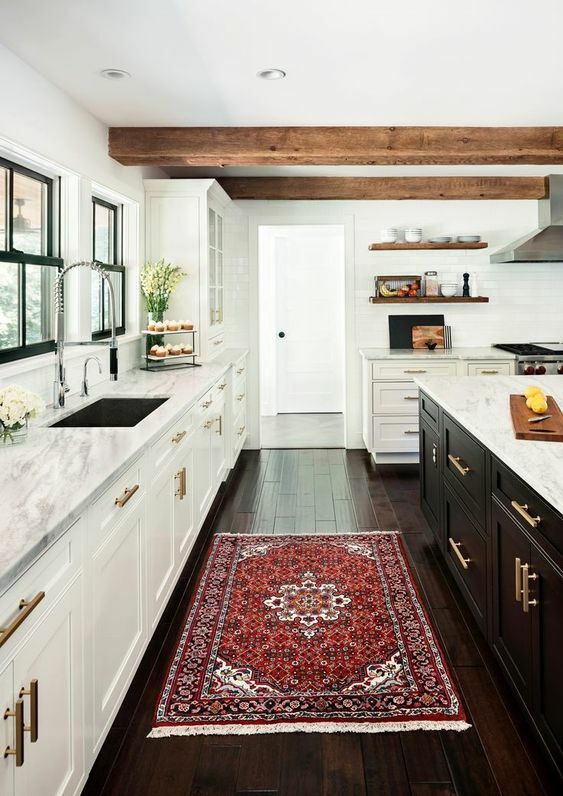 The trick is in the details; a new sink, handles and pulls, different color uppers, lowers and kitchen island, beams or lighting all make a difference and together cost more than paint. 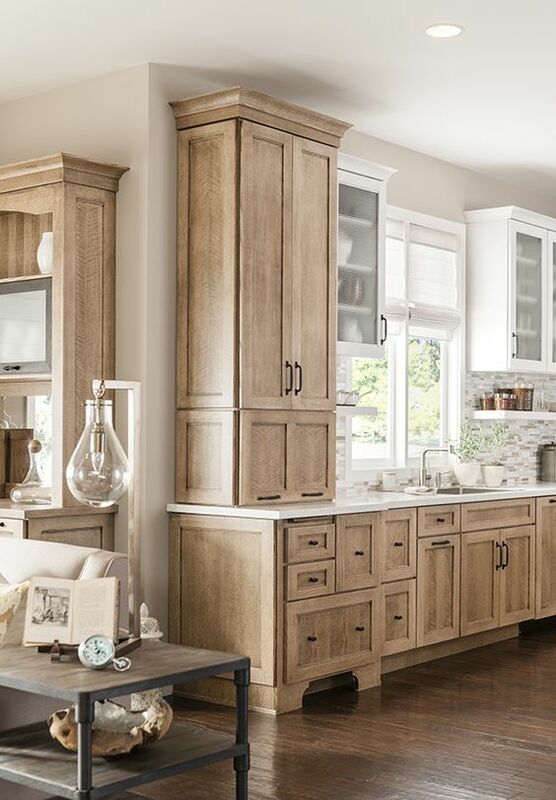 If your kitchen cabinets are tired or outdated, replace them with ready to buy stock cabinets. This can save you a lot of time and money. 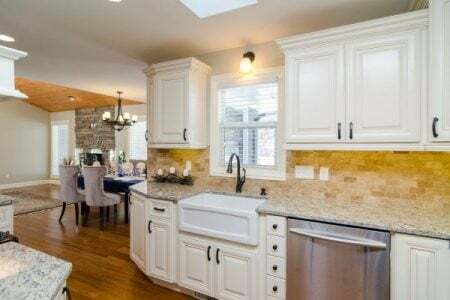 Choose custom designs if your kitchen is designed in particular way and you have no alternative, but the variety and range of ready made cabinets is extensive and suitable for almost any budget, including inexpensive wholesale kitchen cabinets with pocket friendly prices. That also means you get your new kitchen cabinets delivered within days and not weeks. 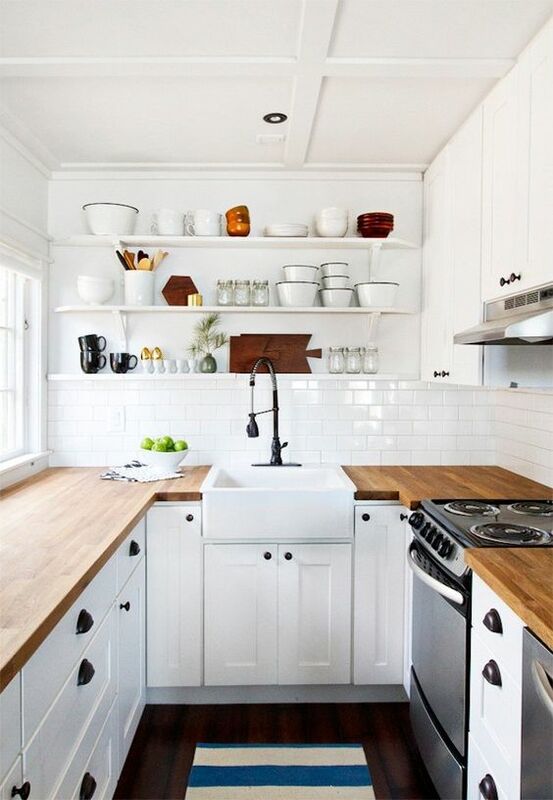 Here are some tips on how to choose the best quality cabinets for your kitchen renovation. High quality solid wood and plywood cabinets. These are hard wearing and longer lasting than pressed woods. Extra sturdiness by choosing cabinets that are half to one inches thick. Full-extension hardware. These allow doors to open all the way which is better for easier access. Dovetail joinery. Stapled joints rarely last as long. Yes, there are some limitations on choosing stock cabinets but if you find what is right for you, this is a great time saving and cost saving solution. Limited color and finishing choices. Most stock cabinets are 36 inches tall. If you want taller cabinets you need a semi-custom or fully customized solution. Detailing/fine finishing can be minimal or even missing, so take care when ordering. The cost of high quality stock cabinets for an average sized kitchen ranges from $5000 - $10,000. Customization always cost more, in fact, up to double of stock cabinets. Lower cost alternatives are available in outlets like IKEA. These can work well as long as you are prepared to assemble and choose from a smaller range. There are even second hand choices from apartment blocks or homes from Craiglist or ebay, but make sure you know what you are buying, and who you are buying from. 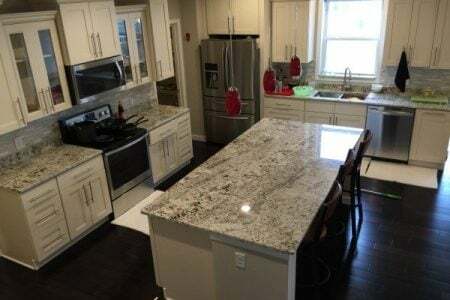 This does come with some risks, but using a professional kitchen renovation company, that includes installation, is a full service that comes with a higher cost. If you've got an '80's or 90's kitchen, cabinet refinishing is the most economical ways to give your cabinets a new lease on life. Solid wood door cabinets can be painted or stained. You can change the entire look by changing the color palette, texture or finish. There are many painting techniques you can use to get a unique look for minimal cost, especially if you are doing it yourself. Latest kitchen cabinet colors include white, grays, navy, yellow and pale blue. Would adding corbels help to change your look, or can you replace the door fronts with glass doors? Adding glass doors can open up a kitchen space to look larger and less cluttered. 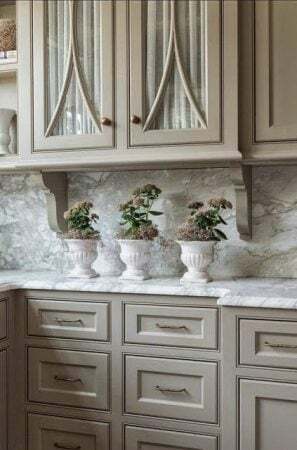 Faux finishing products are improving all the time - woods, marble, stains, granite and more are constantly being added along with smarter finishes that don't fade, chip or stain and are UV protected. One trend is to use two different hues for your workbenches, top and bottom cabinets. You can stain, paint or spray paint your cabinets or hire professionals to do the job. How you finish them really depends on the amount of traffic your kitchen gets on a daily basis. 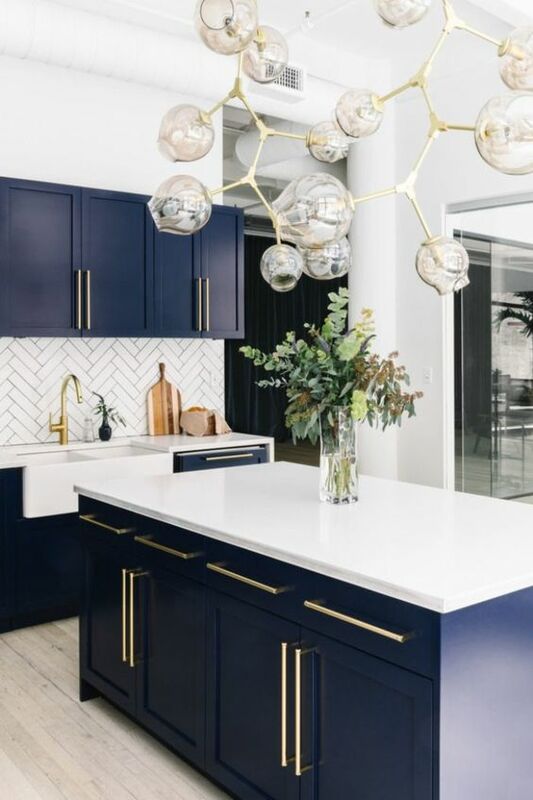 Like all things, the life of your kitchen cabinets can be extended with a regular maintenance; regular touch ups using a little paint, waxing or varnishing, all go a long way. 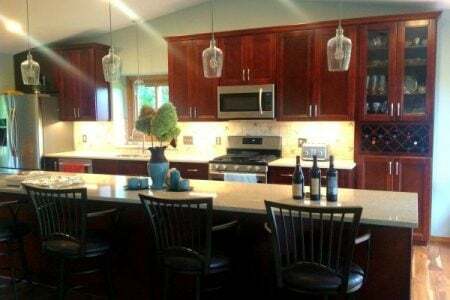 To transform the look again, you might change appliances or your sink, add an island or the lighting.